If you are currently enrolled in Design this is where you will find details on class assignments. Remember that assignment deadlines are always posted to the Google Calendar Tab. Monday: Work day to complete Graphic Designer postcard assignment. Discussion of exam artist statement that is due. Thumbnails and research were due last Thursday. MAKE SURE A COPY OF EVERY PROJECT IS DEPOSITED IN THE SHARE DRIVE (.ai, .pdf or .jpg) FOR THAT PROJECT. Wednesday: Work day to complete Graphic Designer postcard. Please start taking your projects home. Friday: Final day to print and prep for Exam critique of the Graphic Designer postcard. Make sure you've met the criteria and that you've followed directions for the artist statement. This assignment counts as an individual assignment grade and the artist statement will count as your exam. Tuesday: Finish Introduction to History of Graphic Design postcard assignment. Wiki research and start on Thumbnails. Thursday: Research done on wiki by the end of class. Thumbnails for homework...due start of next class. Set up your front of card as one document and the back of card as a second document. Tuesday: Final Day to work on your self promotional piece. Make sure it is mounted and prepared for critique next class. Thursday: Critique of self promotional pieces, all wiki work should be posted as well as project mounted and ready for critique discussion. Please write an artist statement with the grade rubric. Exam details will be discussed as well as your final project details. Monday: Designing work on self promotional piece. These are due next week Thursday. Tuesday: Thumbnails and wiki research due by end of class on Self Promotional Unit ideas. Meet with me to discuss your plan. Thursday: Get started on designing and creating your self promotional piece. Tuesday: Last day to work on Book Cover Designs. Due for critique on Thursday. Book cover should be displayed on the actual book for critique. INTRO to next unit on Careers in Art and Design. Click wiki link for more. Thursday: Critique of Book Cover designs. Continue with Career Research project on Wiki. Friday: Introduction to Self Promotion with Keynote presentation. Continue wiki research and start thumbnails. Monday 4/21: Continue editing book cover designs using Adobe Illustrator or In Design for Layout and Photoshop (to edit images). Make sure you've made your Illustrator document one of the 3 paper sizes 8.5" x 11", 11"x17" or 13" x 19". The book actual size is what you build within that paper/document size. Make sure you've taken accurate measurements. Wednesday 4/23/Friday 4/25: Work days on book cover design due for critique next week. Tuesday: Book cover design research on wiki, written synopsis and full color thumbnails are due. Get started on Design of cover using Photoshop to edit images and Illustrator or InDesign for the layout. Make sure you measure your cover so your designs are accurate. Document should be the size of paper choices 8.5" x 11", 11"x17" or 13" x 19"
Thursday: Work day for Book designs see above for details and the assignment description below. Monday: Watch the Embedded Video Presentation of the Book Cover Design Project. Begin Book wiki research. Wednesday: Finish Book Wiki Research and begin thumbnails showing layout design for cover as described in assignment sheet. Friday: Thumbnails and Wiki are due for Grading; get started on actual designs. Tuesday: Finish up on Kiwanis Designs critique next class. Please note change in button size. The buttons are supposed to be: 2.625 inch image area with a 3 inch total size for bleed and fold. Here is a revised template to use. Hand work in digitally only into SHARE drive folder. Thursday: Critique of Kiwanis Tee Shirt and Button Designs. Both should be turned into the SHARE drive folder in proper format. See Assignment Sheet for details. Make sure you follow the correct path to the SHARE DRIVE: Finder- XServe-Share-Share 2013-14-Second Semester-Digital Photography section you are in. Monday: More details on Real Client Kiwanis project. Start research using the wiki. Start drawing thumbnails too, use the templates or do by hand. Wednesday: Research and Thumbnails due by the end of class today. Friday: Get started on actual tee shirt and button designs for Kiwanis project. Monday: Work day to finish corporate identity project, including envelop, business card, letterhead and product designs all mounted for critique. Wednesday: Critique on Corporate ID project. Monday 2/24: Wiki Research and planning for logo design due by end of class. Start on Full color Thumbnails due by end of next class. Wednesday 2/26: Full Color Thumbnails due; how to get started in Illustrator building your logo. Friday 2/28: Adobe Illustrator Logo done by end of class. Start designing business cards, envelopes and letterhead. How to shrink logo design in Illustrator. What will your 3D product design be like? Monday 2/17: Work day to finish Shape assignment. Remember to check rubric and make sure you've met criteria of the project. 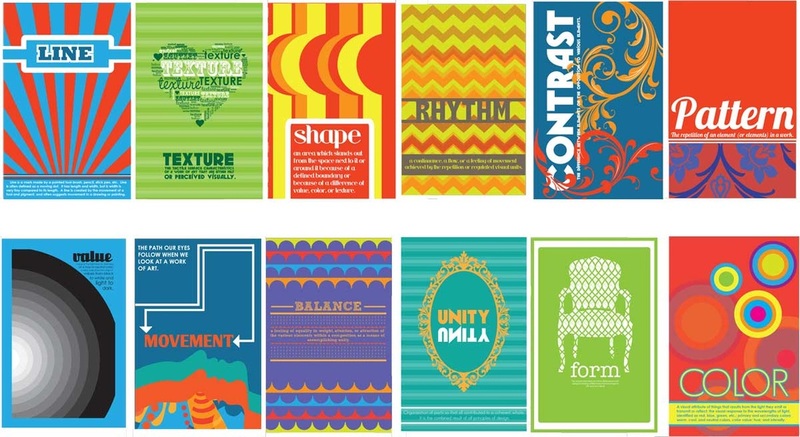 Wednesday 2/19: Critique of Shape Project, Intro to new unit on Corporate ID-Logo Design. Tuesday 2/11- Final day working on paper designs. Finish up with cuts and gluing. Presentation of how to get started in Photoshop. Thursday 2/13-How to use Photoshop, how to translate your design to digital. Start finding images and creating the shape in Photoshop. Do Wiki research and develop thumbnails for the Shape Assignment. Wiki research due by the end of class. Thumbnails in full color due at start of next class. See assignment sheet below for details. Full color thumbnails are due at the start of class. Get started on paper version of your design. Digitally start looking for images you want to use that are the colors you need. Doesn't matter what's in the image. Save these into a folder called Shape on your directory.